Sound is one of the most underappreciated aspects of just about any form of media. While most people rattle on for days about visuals, framerates, resolution, and other buzzwords (whether they actually understand them or not), audio tends to get left by the wayside. In fact, a majority of great looking and expensive TVs still have terrible audio from their speakers. Many gamers get by with a cheap soundbar, whatever headphones they happen to have, or maybe even a “home theater in a box.” Very few are willing to put in the effort and expense it requires to get truly immersive and high-quality audio. 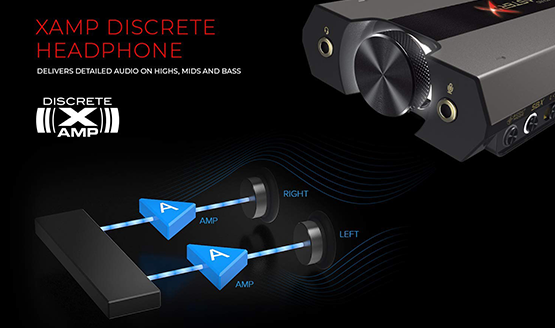 In fact, it seems like very few are even aware that there are options out there that can improve the listening experience, and even give you a leg up while gaming. Creative’s Sound BlasterX G6 can give you the better audio you deserve. Now I know, you game on a console and you’re thinking “why do I need extra accessories for my audio output?” Truth is, I was and am you. I play on a console because of its simplicity and out of the box nature. I don’t need to worry about the compatibility of devices, upgrading hardware, tons of accessories, or any of those other things that tend to dominate the conversation in PC gaming. 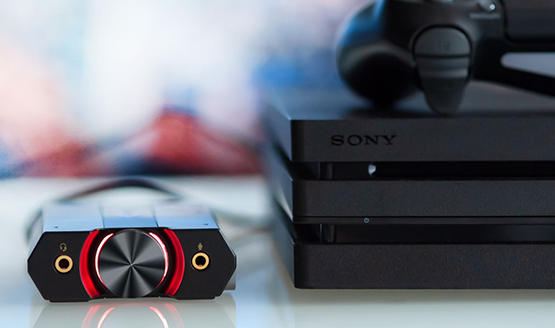 I’ll be honest, I scoffed a little bit at the idea of a sound card for my PS4, but as someone who cares a great deal about good audio, curiosity got the better of me and I expressed my interest in reviewing the Sound BlasterX G6. Sound BlasterX G6 Review – Why Should You Care? The majority of you reading this probably aren’t audiophile nerds to the point where you’re going to care about specs like 32 bit 384kHz PCM and ultra-high 130dB DNR, so here’s what you get with the Sound BlasterX G6 in layman’s terms. This is a headphone amp that will boost your audio signal. The G6 takes the lossy, compressed audio from the source and essentially unpackages it and dresses it up for you. It’s an equalizer of the highest order, adding more fidelity and depth to your sound, the way that adjusting contrast on a picture does to visuals. There’s a whole lot more to it than that, but that’s the basic function of a headphone amp. It’s designed as an intermediary between the source and the output to really boost and get the most from your audio. It’s about a lot more than just making your sound louder (though it certainly does do that). The Sound BlasterX G6 provides a level of clarity and definition that is often lost otherwise. Plugging a set of headphones into the DualShock 4 might bring the sound to your ears, but a headphone amp the DualShock 4 is not, and audio definition is being lost and smoothed out if you listen to your games this way. PCs are usually the platforms that get first dibs on audio quality improvements, whether from expensive internal sound cards or equally expensive external audio equipment. In fact, I’ve already got multiple audio interfaces for audio recording and other home production applications, but I’d never thought of the technology’s potential uses on my console. Using the Sound BlasterX G6 with your PS4 is going to depend largely on your home console setup. Console manufactures have spent a long time trying to get away from having cords draped across your room, tethering the console to controllers or headphones. The latest consoles even allow you to plug headphones right into the controller, which again, eliminates that long cord that is a tripping hazard, risking harm to children, pets, inattentive adults, and maybe worst of all, your expensive hardware. The G6’s wired configuration creates something of a difficulty for the modern living room, where we’ve made efforts to hide all of our cables away and clean up the room as much as possible. If you game at a desk or in an environment that’s much closer to your TV or PS4, the cabled sound card is far less of an issue. Wherever you decide to place the G6, it should stay put, thanks to an entirely rubber bottom that provides a grippy surface. The build of the device is sturdy, using metal housing and a sleek design that doesn’t look out of place in the typical modern techie environment. If you’re one to care about audio quality, the aesthetics of the Sound BlasterX G6 will likely fit in with your style. The biggest setup problem I ran into wasn’t an issue with the G6 itself, but rather how I have my current surround sound setup on the PS4. My home theater in a box doesn’t have an HDMI input for some crazy reason (yes, it’s a tad old), so I have to run all of my audio via the optical output. In order to do full in game and chat audio functionality with the G6, you need to use the included optical cable as well as the USB input. (You can also use either/or, but USB allows for the chat function, and optical will give you full Dolby processing, so to get the most, you’ll want to use them both together.) It’s a benefit that you won’t get on the Switch or the Xbox One, but it also makes it difficult for certain audio setups. There is an optical throughput so that I can run my sound out to my home theater system, but I had to grab an extra cable off of Amazon to make that function. Once everything was all set up though, it was off to the races. I was listening to my PS4 games like I never had before. I have a bunch of headsets, ranging from low-end $30 in-ear monitors to expensive cans with a huge variety of qualities and features. The Sound BlasterX G6 improved every single one. Interesting to note: the improvements were more noticeable on the high-end headsets. Sure, the G6 made those low end ones sound better to a certain extent, but they’re also limited by being low-end accessories. The better the headphones that I used got, the more pronounced the improvement in audio clarity, definition, and depth. Most headphone amps are a single amp to boost the signal which is then split to each ear and set to the headphones. The Sound BlasterX G6 has two independent amps working on each ear, which makes an incredible difference for the panning 3D audio that games need to provide. Even on headphones without simulated surround, the G6’s audio processing output positional audio that replicated the sound’s output in a 3D space. There are three levels of audio improvement. Across all three of them, the G6 smartly boosts audio, not like your typical audio bro that thinks cranking up the bass frequencies is the way to “better” sound. Good audio is about replicating the intent of the creator and maintaining the integrity of the source. Standard is just a basic boost to the audio, giving you volume and definition like an 80s hair-metal rockstar. SBX dives into the amp’s internal equalizer, which can be set up through included computer software (you’ll obviously have to plug it into a PC to adjust that). Finally, the Scout Mode is the true hero for gaming, and changed the very way I was able to play. Scout mode dynamically separates panned audio signals that exist within a 3D space in the game and boosts them. So tiny audio cues like footsteps, gunshots, and other positional audio will actually provide a distinct advantage if you let it. Turning Scout mode on and off is as easy as tapping a button, so I was easily able to tell the clear difference between the basic boost the G6 provided and the Scout mode’s enhanced positional audio cues. Having all of those options is important because Scout mode tends to be comically bad when used out of context, amplifying sounds that weren’t meant to be at high levels in the mix. Try watching a movie or playing a more cinematic game with Scout mode on and you’ll find that really loud footsteps and other ambient sounds completely take over, again, to almost comedic effect. Switch back to basic or SBX though and you’re in good hands. It might not be a main feature of the G6, but added sidetone functionality allows you to hear your own voice in real time when connected to the headphone amp, which makes voice chat so much easier, especially with headphone that block external sound. I used to often find myself playing with one side of my headphones askew to allow for my voice to filter into my ears so that I didn’t feel like I was talking inside my own head. Sidetone is an important feature I look for on headphones, but the G6 allows me to have it on any set of headphones whether it natively has that function or not. I took on the review of the Sound BlasterX G6 with the intent of focusing on its usefulness for the PlayStation audience, but I’d be remiss not to mention the wonders it can work on other consoles and PC audio as well. A USB connection means it’s an easy and quick setup. The portability of it means you aren’t stuck with it just for a single function. If you do both PC and console gaming, you can easily swap it between the two (or more, for use with multiple consoles, or hell, even your phone), getting enhanced and high-end audio wherever you decide to play. While marketed for gaming, you can use it for other applications as well, but features like the Scout Mode really tip this headphone amp towards the gamers in particular. Because we focus on PlayStation here, I don’t want to dive too deep into the PC side of things, but using it there opens up a wealth of additional options and functions. If your plan is to use the Sound BlasterX G6 to improve a cheap set of headphones, the investment probably isn’t worth it. At that point, you’d just be better off buying a nicer headset for the money. But if you’ve already got a good headset and your intention is to continue to improve your gaming audio, the Sound BlasterX G6 will take your sound places you didn’t even know it could go. 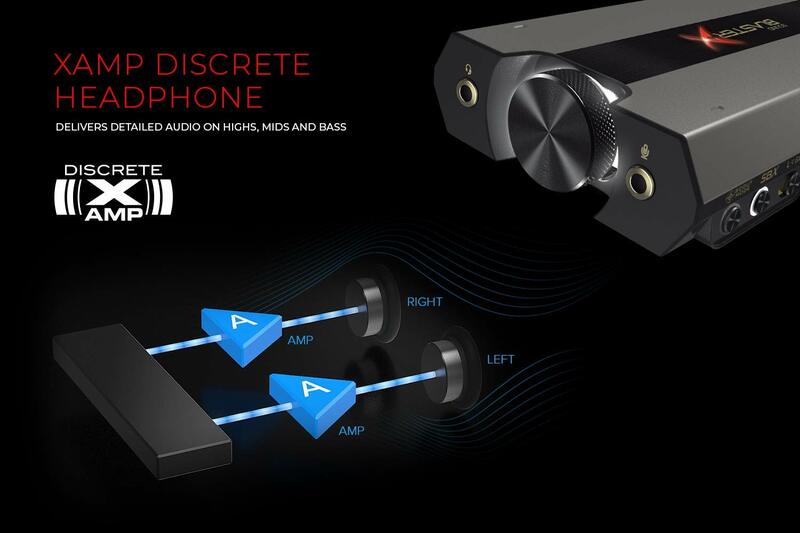 It’s great that console gamers finally have a good option for improving their audio, an aspect of gaming that has long gone under the radar in favor of visual fidelity. Sound BlasterX G6 review unit provided by manufacturer. Tested with a variety of headsets on a standard PS4. For more information, please see our Review Policy. You can purchase the Sound BlasterX G6 on Amazon. This is an affiliate link. We may receive a commission for purchases made through these links.